A code from the “Code System” is the focus of this model. 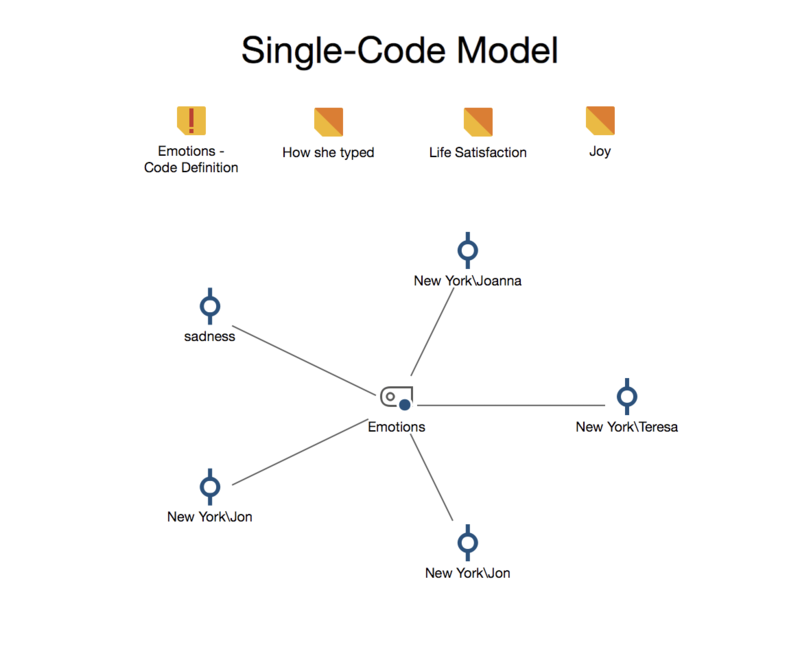 The purpose of this model is to display the selected code with all its connected memos and coded segments. The Single-Code Model is similar to the Single-Case Model, except that a code is the focus rather than a document. The icon for a selected code is placed in the center of the map and other elements in a circle around it. Lines connect all the codes and coded segements and memos are placed under the map heading. Memos: both the code memo and any memos linked to the code. Display memos – If this box is not checked, no memos will be displayed in the map. If the box is checked, the maximum number of memos to be displayed can be specified. 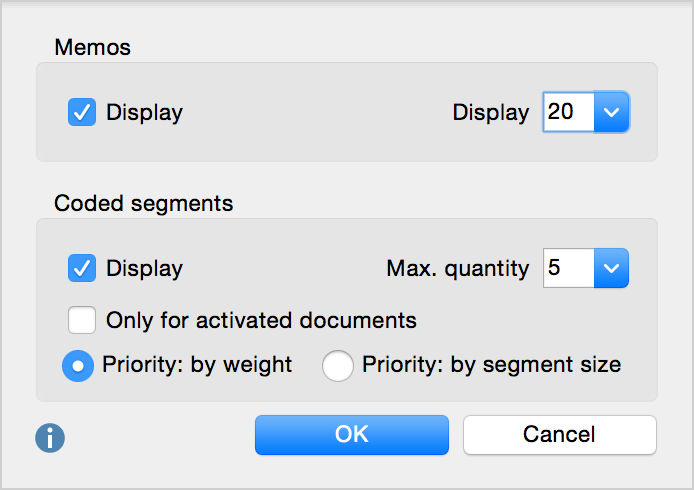 If there are more memos than the selected maximum number, the last edited memos are given preferences. Display coded segments – If this box is checked, coded segments will be displayed for each of the codes. You can set the maximum number of coded segments to be displayed per code. Only for activated documents – Limits the appearance of coded segments to currently activated documents. If there are more coded segments than the maximum to display, you have the option of ranking the segments according to Priority by weight or Priority by segement size (coded area) of the coded segments.